Considering the fact that there are many transport options in the contemporary times but shuttle service to Melbourne airport is the best amongst all. A question might arise in your head that after your plane touches the Melbourne airport, which transportation mode would be good for you? In that case, it is true and has been proved via surveys that shuttle service is one of the best modes of transportation when going or coming from the Tullamarine Airport. You should also know that traveling in shuttle bus means that it has got designated pick-ups, drop-offs, and leaves and arrives at regular intervals without any delay. In that case, the following points will tell why you should choose shuttle service when you are traveling to or from the airport. Also known as Tullamarine Airport, Melbourne Airport is actually the second busiest airport in Australia that not only serves the City of Melbourne but also many nearby suburbs. In reality, there are total four airports in Melbourne but the Tullamarine is the only one that caters to international flights. Melbourne Airport is just under 23km’s from the centre of the city. The reason why this airport is known as Melbourne Airport (MEL) and Tullamarine airport because it is Melbourne’s primary Airport, which is located in a suburb of Melbourne known as Tullamarine. So if you are coming from the Airport to the City centre then you have to arrive by the Tullamarine Freeway otherwise know as CityLink. 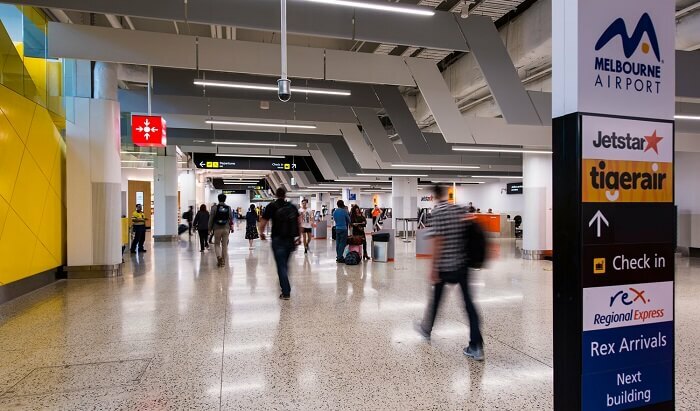 Melbourne Airport is a busy Airport due that see’s millions of passengers every year. If you want to travel by shuttle to Melbourne City then you must travel by Starbus Airport Shuttle. Starbus shuttle will transport you & your loved ones to Melbourne City or one of Melbourne’s many surrounding suburbs regardless of whether you are staying in a Hotel, Apartment or your home we will drop you off to the front door. The time required to travel with Starbus is anywhere from 20 minutes up to one hour depending on where your stop falls on our run. What many people do not know or believe is that shuttle service is one of the most convenient ways to travel from or to Melbourne airport. In this case, you can book Starbus Airport Shuttle that runs between 5am to 7pm every day to and from the airport to numerous Melbourne city as well as inner city suburbs. The shuttle service departs at regular intervals and you can make a booking on our website at any time of day and night. Also, it is much of a problem when your hired vehicle does not turn up leading you to miss the flight. It is very annoying when you cannot get a ride to the Airport. However, in shuttle services, the schedule is prepared to keep in mind the departure and arrival time of the flight. Hence, it is always accessible to passengers outside the airport terminal. It is true that travelling via shuttle is actually cheaper than other means of transportation. Well, whether it is a 12 seater van or bus, here passengers travel together like any other public transportation to their respective destination. So if you are searching for Melbourne Airport to City cheapest way then you must go for shuttle service providers that ensure convenient and affordable journey from one place to another. What many doubt is the comfort factor when travelling to someplace in shuttle service. However, the truth is that despite many people sharing the same ride the shuttle brings similar comfort like that of a private car. Here the passengers are picked from the airport and dropped to their respective hotel or destinations without any hindrance. Since it takes passengers from the Airport, therefore, shuttle service providers always focus on the comfort of the passengers because they remain tired after long hours of the journey on the plane. Even the passengers get to save themselves from the trouble of dragging their luggage to rent cars or cab services. On the other hand, shuttle service helps the passengers in loading and unloading of their luggage at pick-up and drop-off destinations. Also, every shuttle service has got experienced and knowledgeable drivers who take many passengers to their destination through the short routes possible for the passenger’ benefit. So if you are worried that the driver might not be aware of the new or old attractions or landmarks then do not worry because they are going to pick you up from the place you requested and drop you exactly at the right place without causing any error. The above features of shuttle service are actually better than most of the other means of transportation that we use in our daily lives. On the other hand, there are also taxi services that are available for people to and from Tullamarine Airport. Compared to other airport shuttle service providers, Starbus provides door-to-door shuttle bus service to or from the airport as well as to other inner city suburbs. Hence, it is not just home or apartment transportation service anymore but also hotels and businesses too. 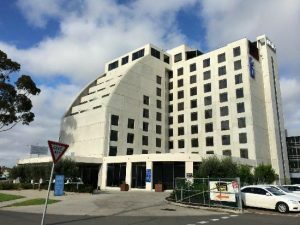 Are you searching for best hotels near Melbourne airport? Well, after a long stressful flight nobody likes to travel again without replenishing their energy. That is why hotels near airport are meant to provide shelters to travellers coming from faraway places. 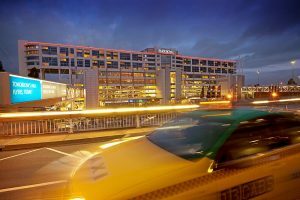 So if you are arriving or moving out of Melbourne airport, here is the list of top five hotels near Melbourne Airport via Starbus Shuttle. 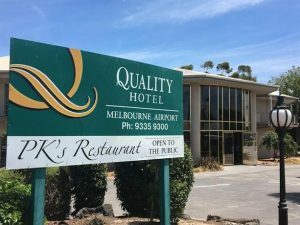 This is a hotel that is directly connected to Melbourne airport. So if you have a flight to catch or you are heading home then you can just rest at this amazing shelter before moving again. Starbus stops accross the road from the main entrance. 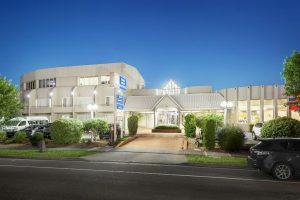 Just 4 minutes drive from the Melbourne Airport, this is a fantastic hotel offering all conveniences and comforts. Get a variety of accommodations like executive rooms, suites, family rooms, Standard rooms, spa rooms at reasonable rates. Ciloms offer a shuttle bus to collect you from the Groups and Charters Area at Melbourne Airport and that’s exactly where we drop you off. Four-star accommodation and world-class facilities are what you are going to get at this great motel. Furthermore, there are also conference rooms, great restaurant for satisfying the needs of the guests. The Best Western offer a shuttle bus to collect you from the Groups and Charters Area at Melbourne Airport and that’s exactly where we drop you off. 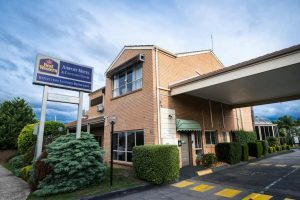 This is a fantastic place to rest for Melbourne visitors because this hotel is situated near to the airport. With a wide range of accommodations, you will get the best facilities without any hindrance. Quality Hotel offer a shuttle bus to collect you from the Groups and Charters Area at Melbourne Airport and thats exactly where we drop you off. The best stopover if you are looking for comfortable accommodation near the Melbourne airport. This is a convenient and reasonable choice if whether you are moving in or out of the airport. Mantra Tullamarine offer a shuttle bus to collect you from the Groups and Charters Area at Melbourne Airport and thats exactly where we drop you off. Melbourne is known by the city of beauty, colour, coffee and culture and this is not just in Australia but also globally. Also, if you do not know then you will be surprised to find that Melbourne is also one of the top contenders when it comes to the top liveable cities in the world. That is why if you are visiting this city for the first time then you must check the top ten attractions below that will blow your mind. This is the exciting tram that operates in the Central Business District or CBD of Melbourne and is also considered as one of the coolest ways to take a tour of the best highlights of the city. The many attractions that come on the way of this tram route are the Federation Square, the Melbourne Aquarium, Old Melbourne Gaol, the Immigration Museum and lots of other amazing things in the city. 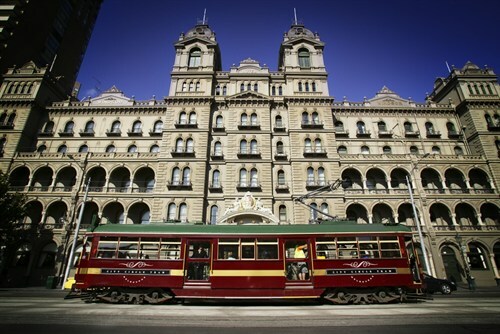 So if you are not hiring a Melbourne city express or any other means of transportation then tram is the cheapest way to get a tour of the city. What makes the tram ride even more interesting is that its vintage appearance that makes the whole experience authentic and more wonderful. The tram runs between 10 am to 6 am from Sunday to Wednesday and from Thursday to Friday the hours are extended to 9 pm. Also, the audio commentary is also available so that tourists can know the history and information while travelling from one place to another. 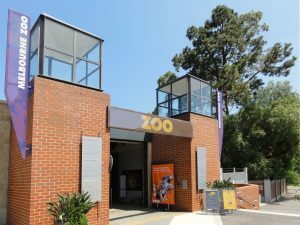 You should also visit the Melbourne zoo because it is a popular destination and an easy reach from the Central Business District. This zoo is spread over a huge landscape and is very well maintained by the authorities so that not only the animals can live under love and care but also tourists like you can wonder at the great animals and even explore the scenic setting of the location. Located at just 4km from the centre of the city, this zoo offers the tourists to explore this beautiful place as well as the amazing creatures in their home place without any hindrance. Situated at Birdwood Ave, South Yarra, Melbourne, Victoria 3141, this is a ‘state of art’ landscaping at the Royal Botanic Gardens in Melbourne. With 50,000 plants in 36 hectares land, this is an amazing picturesque setting where you will be able to explore a variety of plant collections and understand the reason why it is called one of the finest gardens in the world. Furthermore, it also comes in the list of the best tourist attractions in Melbourne where people visit throughout the year. It is actually true that you will find yourself soaking in the beautiful greenery and shades of the great Royal Botanic Gardens. 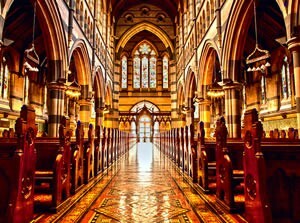 This Cathedral is a stunning example of Gothic Revival Style Architecture that was built in the year 1868 as a place of worship for the members belonging to Catholic Archdiocese faith. This is a very big or you can call it a huge cathedral that can surprise any church lovers without any doubt. At the same time, this is highly maintained by the authorities and really emits a spiritual as well as an inspiring feeling when you enter the cathedral. This is one of the landmarks in the city and is just beside the road. The entry to the cathedral is free and this church is actually a rejuvenating escape from the hustle and noise of the city. Even more, the interior is so beautiful that any photographer will fall in love with the designs and the different aspects of this cathedral. Also, it gives you a feeling of the art and culture of that era when it was built. The Dandenong ranges are just one hour from Melbourne and it is also considered as one of the gems amongst the best places to travel in and around Melbourne. 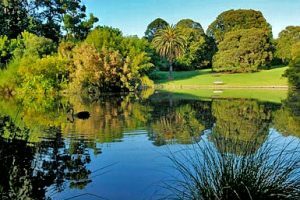 With soul touching walking tracks, lush Australian rainforest, small towns and the great Dandenong ranges makes it one of the topmost places to visit when you are coming to Melbourne. If you are into forest and hills then this is one place you should never miss out on this tour. Furthermore, there are also numerous things to do like there are trails which if you follow will give you a close-up view of the great Mountain Ash forests. As well as, there are also trails that lead to secret historical areas, picnic spots that stay hidden beneath the bushes. 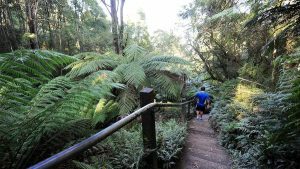 However, the most popular experiences in the Dandenong forests is the amazing Puffing Billy train ride that goes through scenic beauties inside the forests, mountainside as well as many other things that you may not find in the normal trails. 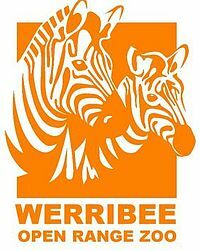 If you want to get a thrilling wildlife experience then you should not forget the Werribee Open Range Zoo that is located just thirty minutes from the south of Melbourne. This African savannah is spread over 225 hectares which means you will require near around an entire day to touch most parts of the forest and return back before it is closed. At the same time, you can also book special safari tour that comes with admission price and you will be able to enjoy a safari kind of bus ride through the life of giraffe, rhinos and many other animals. You can also just walk around the place and enjoy this great forest area without any disturbance. If you have interest in animals and wildlife then you must visit this place. 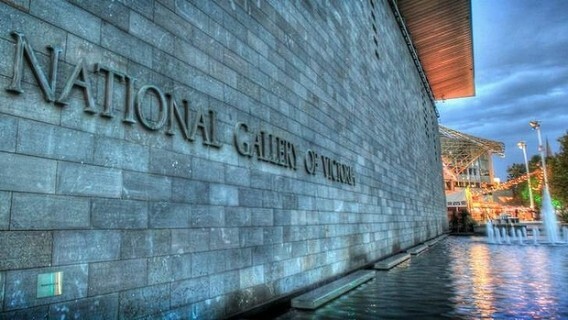 To know more about the culture you must pay a visit to the National Gallery of Victoria situated in the centre of Melbourne Central Business District to be precise. This National gallery is also regarded as the pride of Melbourne because it holds many cultural treasures and every now and then there are continuous exhibitions that tourists find it amazing when they visit here. There are many things like sculptures, impressive artworks, and other artefacts displayed under a beautiful light. The finest and favourite of many Australians is the Eureka Skydeck. Melbourne’s Eureka Skydeck should be in the must-visit-places list because the first-timers will find it thrilling and surely going to be awed by the amazing views of the city that comes from the 88th floor of Eureka Tower. The 360-degree panorama view of the city is so breathtaking that you will remember it for the rest of your life. This is the highest viewing platform in the Southern hemisphere from where you can see the Melbourne Cricket Ground, the Dandenong Ranges in the faraway distance. Well, many recommend visiting the tower at the time of sunset for an amazing view of the city as well as the horizon. The largest war memorial in Victoria and one of the most popular landmarks in Melbourne is the Shrine of Remembrance. 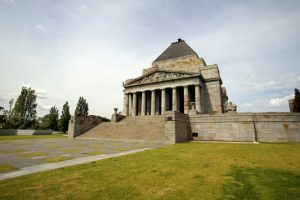 Located in the St. Kilda Road, this is a fascinating architecture that pays tribute to the fallen soldiers and the various other patriots in First and Second World War who gave their lives for the freedom of the country. There are over 120 ceremonies and events that are held throughout the year commemorating the service of the brave men’s sacrifice for their land. This is a sad as well as a journey to the past that makes people pay their respect to the brave soldiers on this shrine. 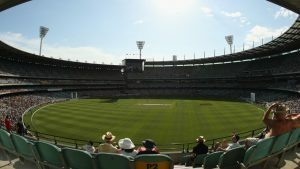 A favourite spot of every Australian who loves sports is the MCG because it is at this place where some of the iconic moments in the history of sports took place. From the Olympic Games in 1956, the first cricket match in 2006 Commonwealth Games, the World cup of 1992 as well as many other important sports events has been held at this stadium. Like everybody knows Melbourne has a deep sports culture in Australia and MCG is a big proof of that. It is, for this reason, there are a variety of organized tours for the sports as well as the non-sports fan as well. You will also find good restaurants and cafes inside MCG for amenities and convenience. Now that you are aware of the top ten attractions in Melbourne then make sure to find the best airport transfers Melbourne and other transportation means so that you can travel endlessly and without any hindrance.